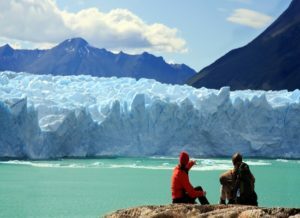 It’s impossible to talk about Argentina without mentioning the Gauchos, the Pampas, the Tangos, and especially its spectacular nature scenes. This country offers a colourful show to all those who venture here. Andes Mountains, Iguazú Falls, Patagonian steppes, Atlantic coast as well as the Antarctic glaciers, its natural diversity makes it by default a destination of expatriation. To learn more about the true identity of this country, you must make a stopover in the capital: Buenos Aires. This historic center is full of historical treasures, not to mention the Plaza de Mayo, the Palacio Barolo, the House of Culture and the Teatro Colón. In the evening, immerse yourself in the local culture during tango evenings in a milonga, while drinking the famous “mate” tea. To experience good quality medical care in Argentina, it is worth going to the private Hospital Britanico in Buenos Aires. This provides good quality basic care and many specialized services, with a 24-hour emergency room and modern medical equipment. Another option popular amongst foreigners is Hospital Aleman, also situated in Buenos Aires. It should be noted that care is free for everyone in public hospitals, including foreigners. However, the quality is unreliable compared to the standard of private hospitals, and queueing times are long. Pharmacies are easy to find in major cities, yet although these are easily accessible and well supplied, the drugs prove expensive. Major national pharmaceutical chains include Zona Vital and FarmaCity. If you need an ambulance in Argentina, call 107 or 911. If you’re a Canadian citizen and staying under 30 days, then only your passport is required. It must be valid at the time of entry.